Esed Radeljaš was head of the agency that allocates money for health care in Sarajevo Canton even though he’d been convicted of fraud and forgery. Today he manages the budget of Bosnia-Podrinje Canton. Esed Radeljaš received a year-long prison sentence for fraud and forgery, but this proved no obstacle to his being appointed chairman of the Sarajevo Canton Health Insurance Bureau. Until recently, as head of the board he directed the allocation of 350 million KM a year that the bureau had at its disposal. According to records collected by the Center for Investigative Reporting in Sarajevo (CIN), judicial failure made it possible for Radeljaš to skip prison and instead wind up making decisions about the people’s lives and the expenditure of vast sums of public money. His sentence for fraud and forgery was expunged and today he’s a minister of industry in Bosnia-Podrinje Canton. In 1999, Radeljaš and his twin brother Asim hatched get-rich-quick scheme. It seemed easy enough to sell someone else’s land and to keep the money. They just needed victims and the Kuljanin and Odžaković families fit that order. Ravijojla Kuljanin, 73 at the time, gave Radeljaš power of attorney to sell her family land for 90,000 KM. He sold it to Džemo Karačić of Sarajevo for 50,000 KM. However, instead of giving money to Kuljanin, he split it with his brother Asim. Since she did not get the money, Kuljanin contested Karačić’s title to the land. Radeljaš did much the same thing to the Odžakovićs, selling their property for 45,000 KM to Vahid and Sabit Makaš. Dražen Janković, who misrepresented himself as a member of the Odažković family had a phony power of attorney indicating he has authority to sell the land. Radeljaš gave him 1,000 KM, and during the trial he was on the run. Radeljaš kept 44,000 KM and continued to work in the Sarajevo firm Astro. 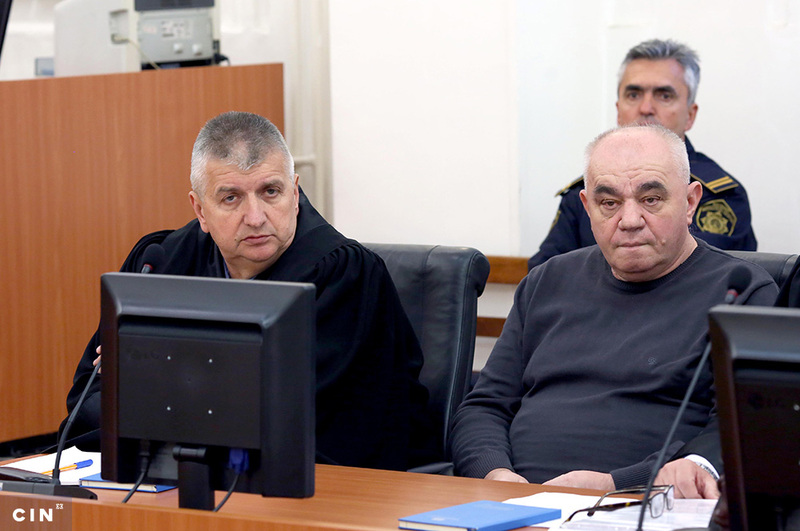 The duped purchaser Karačić sued Radeljaš and the Cantonal Prosecutor’s Office in Sarajevo filed an indictment against the two brothers and Janković in 2000. At trial it was established that Radeljaš misrepresented himself at Astro where he had worked since March 1996 as the head of procurement. His salary was cut 5 percent because he did not have proof of completing secondary school. Radeljaš told the court his diploma burned in his parents’ house in Foča, so he took a document at the then Basic Court in Sarajevo in 1992 that testified that he had graduated from a two-year degree commercial course in Banja Luka. However, trial evidence established that he got the court document based on forged paperwork. Radeljaš said he chose the Banja Luka school because he heard that it was easier to get a diploma there than other places, and he “pulled strings” to graduate. The Supreme Court of Federation of BiH sentenced Radeljaš to a year in prison on May 26, 2005. His brother Asim was sentenced to 10 months’ probation. But Radeljaš never went to jail. Since his domicile was registered in Sarajevo, then president of Municipal Court in Sarajevo Goran Salihović was in charge of sending him to prison. Radeljaš was ordered to report to prison in October 2005. He never showed up. 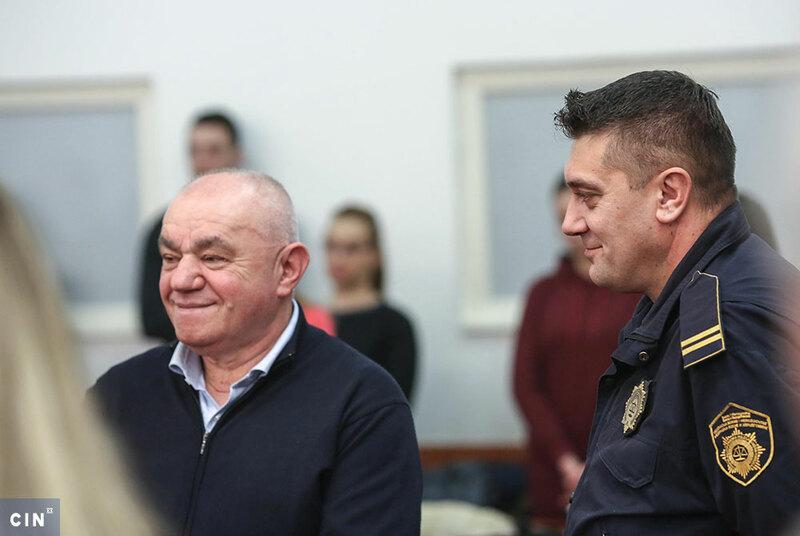 After two failed orders, the Judge asked police to check if Radeljaš still lived at the address he had reported with the Court. 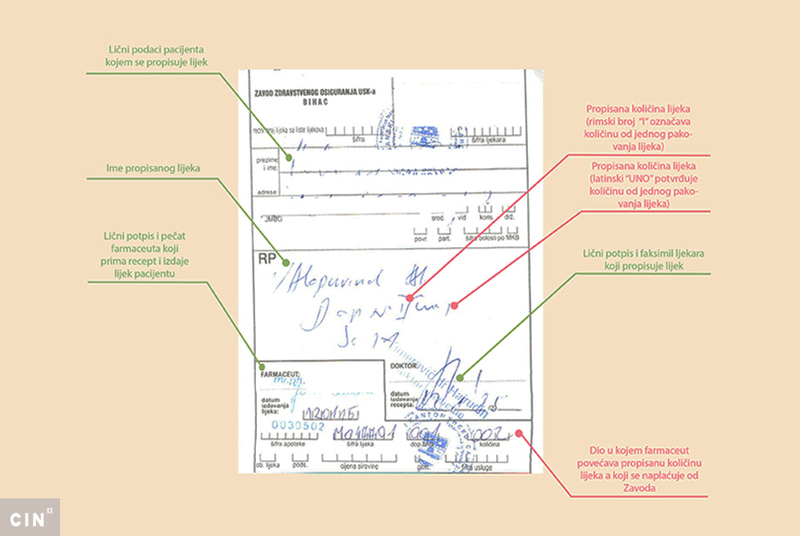 When the police showed up to arrest Radeljaš, however, they found a typo in the order that prevented them from acting. Radeljaš ‘s first name was spelled out as Esad instead of Esed. A court procedure was required to correct that. Considering that the whole trial began and ended with Esad, and not Esed, the Supreme Court of FBiH ordered the Cantonal Court in Sarajevo to issue a decision to send Radeljaš to prison. The Court never did that. After three years, when he still had not served a day, the statue of limitation on the case expired in July 2009. At that time he had already been an MP with the Municipal Council of Novi Grad Sarajevo for nine months. After 2010 general elections he became a deputy with the Sarajevo Canton Assembly and a legislator at the FBiH House of Peoples. He was a member of the Bosnian Party – Mirnes Ajanović (BOSS). Radeljaš waited three years and in July 2012 asked the Court to expunge his record. 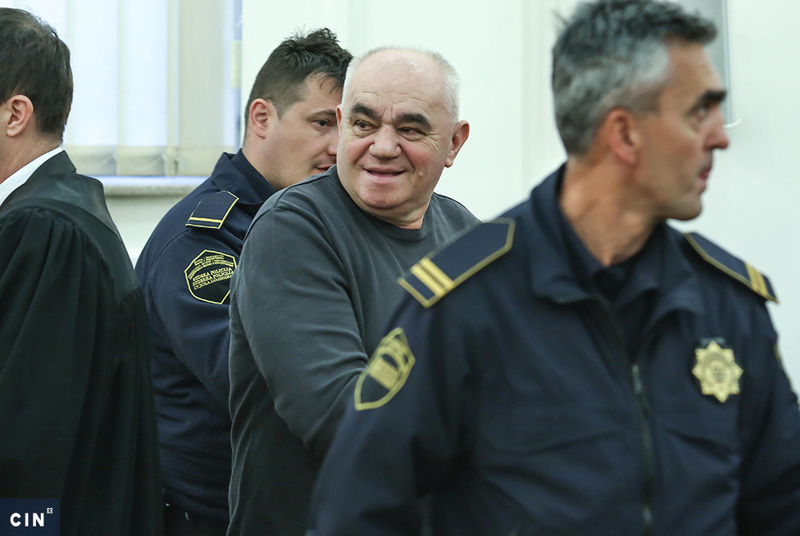 This time the Cantonal court reacted quickly and two months later—on Sept. 10, 2012—Judge Vladimir Špoljarić signed an order erasing Esed’s criminal record. At the time, Radeljaš was an MP in Sarajevo Canton’s Assembly and his vote helped the Party of Democratic Action (SDA) overthrow the incumbent cantonal government led by the Social Democrats. Soon afterwards, a vacancy for the new members of the Board of Directors of the canton’s Health Care Insurance Bureau opened. Radeljaš applied and he submitted a document showing he had no criminal history. Radeljaš avoided meeting with CIN reporters, but in an interview with the Sarajevo daily newspaper “Oslobođenje”, he said that during the change of power in Sarajevo Canton, he sided with SDA because it offered him the post of the Bureau’s Board president. The government appointed him to that job Oct. 9, 2013, after he had worked the job for nearly nine months as an acting director. Sarajevo Cantonal Prime Minister Elmedin Konaković was an MP at the Cantonal Assembly at the time Radeljaš was appointed Board chairman. He told CIN that much trading took place in the past government and assembly’s line up. In exchange for their vote, some asked for appointments. “All those appointments were the result of political deals. Those who claim otherwise nowadays are not fair,” said Konaković. Since the previous Board of Directors did not accept the sacking decision, they sued to prove that their dismissal was illegal. This April, the municipal court in Sarajevo ordered that the sacked board be reinstated and the Board Radeljaš headed dismissed. This took place this July. 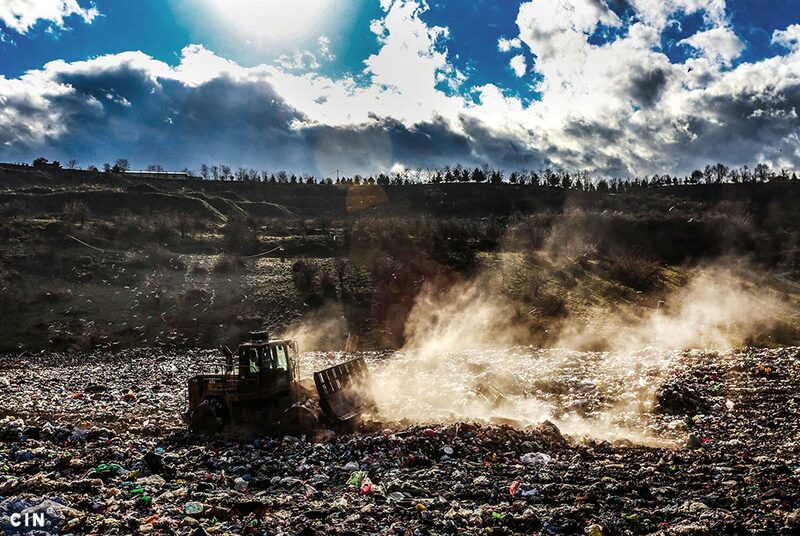 Until then, Radeljaš had spent 2.5 years dispensing an annual budget of around 350 million KM and making the most important decisions about financing health in Sarajevo Canton. The Bureau’s Board, among other things, decides how money for health care should be used and recommends fees for health insurance. The Bureau spent more money than it had on the budget in 2014, so the new Cantonal government refused to accept its annual report. An anonymous criminal report was filed against Radeljaš with the Cantonal Court in Sarajevo because he had allegedly allocated 3.5 million KM to the Clinical Center of Sarajevo University without the approval of other Board members. Prosecutors told CIN they were checking these allegations. In December 2013, a new party was founded in Goražde—The Party for Better Goražde—with Radeljaš at its helm. Nevertheless, he again ran for a legislative seat at the Sarajevo Cantonal Assembly on the BOSS party ticket. He got 1,744 votes — not enough for another term. However, he did not lose a job in bureaucracy. Radeljaš moved to Goražde where his new party made it into the power, and in January 2015, Radeljaš was appointed minister of industry. “This is so hard to accept. I’m disappointed in our judiciary because he has never served time and such a man is running for office,” says Karačić, one of the victims of Radeljaš’s real estate deals.